The words “privacy” and “security” are often used interchangeably when talking about aspects of safety on the internet. Many tech companies will use these terms to emphasize a user’s peace of mind in their marketing strategies. Although there are very tight associations between the two concepts, they are separate ideas that each have their role to play in the daily lives of everyone who uses connected technologies and provides personal information to companies. Understanding the difference can help you make more educated decisions on how you choose to share your information and what software you choose to use. Security and privacy are often talked about as though they are the same thing. This confusion is often because of the internal associations we make with the companies that provide us with online services. 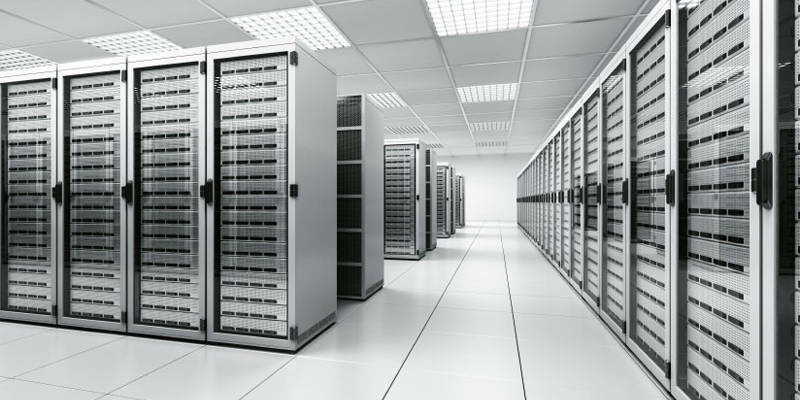 For example, we assume that a company with highly secure servers can guarantee our privacy. If a software developer says that they’re using ultra-uber-safe encryption, we consider that the information we share will be kept private because hackers can’t access it. While making the association between privacy and security is not necessarily flawed, it’s dangerous to assume that your information is private just because it sits behind a wall of encryption. After all, hackers aren’t the only people who view your information as something valuable. In this scenario a software developer provides you with a highly-encrypted database that allows you to store your information. When you do so, however, the company will share this information with third parties (advertisers, affiliates, etc.) who may not have as strong a security infrastructure in place as the people who you entrusted your data with. You decide to do this nonetheless because you didn’t read the small print in their terms of service and therefore are oblivious to what is done with your data. In this scenario your data is (somewhat) safe from hackers, but it’s not private by any stretch of the imagination. Here you’re sharing very personal data with a company that uses weak end-to-end encryption (or none) in its database. The thing is that the data is used only for a very short amount of time (seconds or minutes) and doesn’t provide enough time for hackers to even be aware that it exists. Once you’re finished, the data is deleted immediately. This guarantees that no one will be able to view it, thereby making the data private even though it may not have been very secure. With these two scenarios, it’s easy to notice how security and privacy are actually two completely different concepts. Privacy is something personal, something related to the trust you can have with the company storing your information. Security, on the other hand, has more to do with how much an entity protects the data it stores from intruders. The takeaway here is: not every company that protects your data can guarantee its privacy. When you have a company offering you a “super-duper-ultra encrypted” service, it doesn’t necessarily mean that the data you provide will be kept private. Be aware of this. The only thing that security prevents is intrusion from hackers (on that particular database). Sometimes the third parties that these companies share your information with could have weaker security, still offering hackers a way in regardless of how secure your data is on the server you chose to share it with. These kinds of variables should have a strong impact on whether you choose to use an online service or not and what data you choose to share. It should factor into your cost-benefit analysis. What services do you think offer you both privacy and security? And why? Tell us in a comment! counselor for financial planning but have been concerned about putting all my financials to a site even with some statements about security. What do you think? I for one don’t use online stuff that much. Oh sure I’ll check my bank account occasionally, and buy a thing or two from Amazon.com, but I’m not placing photos, documents or anything else I deem personal in some “cloud-based” infrastructure. And before someone starts in on me with the whole “access your data anywhere using a Chromebook / laptop” argument…understand, I have MORE than enough space on my TWO 4TB USB external Hard Drives, so that I’ll never have to use cloud-centric storage. I just don’t take too kindly to the idea that my data is “floating” around this (alleged) secure-encrypted cloud. And here’s my reasoning behind my choice: quite simply I’ve been around since Windows 3.1 and have watched EVERY iteration of a “secure” operating system get hacked, owned, hijacked, “sniffed”…etc..etc. But you know what? I’ve YET to see someone hack a USB drive that sits in a locked / Security PIN protected safe! I’m just not going to keep blindly trusting these companies and the computers to keep my data safe. And “Yes.” I understand that when I’m online and with the drives connected I stand the chance of having my data acquired anyway, but even that I’ve tried to mitigate by using encryption on my Linux powered laptops and desktops,…plus I’ve got all manner of filtering taking place on my iptables, then there’s the firewalls, the anti-virus, and the rootkit scanners….so I think I’m safer with my current technology setup than I would ever be trusting a company to keep my data protected.